It is appreciated, if you could think how to solve the discrimination issues. 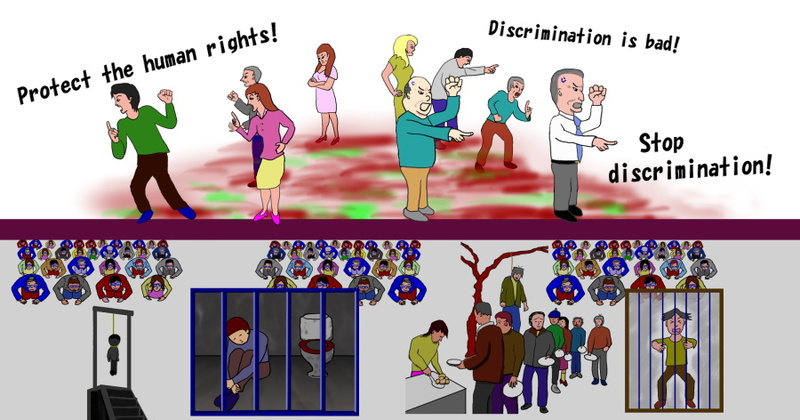 "Discrimination" cannot be recognized by the person who discriminates. If you believe that the slogan like "Discrimination is bad!" can illuminate discrimination, it would be no more than just an illusion. Top page Messages for peace Psychology of Good and Evil Volunteer Donation Our peace movement What's Wa? Contact Site MapDiscrimination 差別は悪! ?